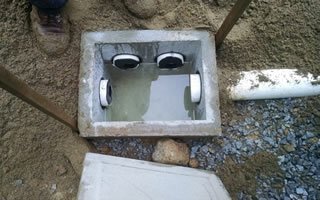 Septic System Installation and Repair, Sewage Treatment, Land Clearing, And Excavating Mid Vancouver Island. Beaudry's Bobcat & Septic Service is a locally owned and operated septic installation and excavating company based out of Qualicum Beach and serving the Oceanside area from Nanaimo to Courtenay and everywhere in between. 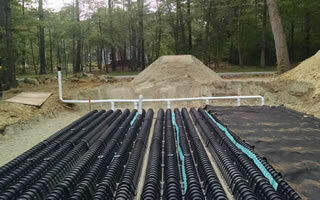 We specialize in septic system installations, excavating services, lot clearing, driveway installations, demolition, concrete removal and more. With over 15 years experience and multiple machines in our fleet we are able to take on most residential excavation projects. 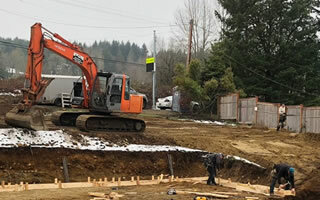 If you'd like to receive an estimate for your excavating or a septic system installation give us a call (250) 240-4596 or fill out our contact form and we'll get right back to you. 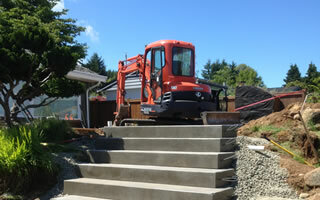 Why Choose Beaudry's Bobcat & Septic Service For Your Excavation Project? 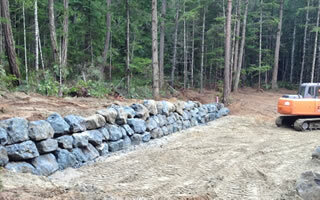 When you choose Beaudry's Bobcat & Septic for your excavating, septic or trucking project you are partnering with a small local business that has been serving the Qualicum Beach area for the last 10 years. Our goal is provide you with the best excavating service available because we rely on our word of mouth advertising from happy clients for our business to grow. Your project will be treated with the utmost of attention and care so you'll be just as happy with our work as our many long-term customers! 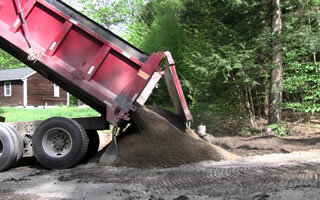 If you’d like to receive a Free Estimate for your excavating, septic or trucking project please give us a call (250) 240-4596 or fill out our contact form and we’ll get right back to you.